Read what our customers, now friends, are saying about us! This is a company that is worthy of a 5 star review!!!!! We have been clients of the Jacoby Company for more than a decade. Cory and Gary are a dream team who truly listen to what you want and envision for your home and then make it happen in a way that is both budget friendly and customized just to your own personal taste. I have recommended this company to all our friends and everyone has been an extremely satisfied customer!!!!!!! They stand behind their products and installation, which in today’s world is worth its weight in gold! Cory & Gary are an amazing duo! Cory came to my house and used her tape measure like a knight with a sword! In no time at all she had all the measurements, then she did calculations that looked like she was building a rocket ship! She recommended colors and options as if I were picking out a suit for my wedding, and within a very short time frame she was off with an order for product! Within a few weeks the wizard Gary appeared with shades, tools, and super strength energy to put up shades on every window in the house! It’s like having a whole new house! I wake up every morning now looking at my windows and wondering why I waited so long to call them! Natural light + Privacy = Window Happiness! I highly recommend them and I will use them again for my other projects! Cory and Gary are wonderful people. They are professional, efficient and experienced with great taste. But there is this little subtle of the warmth they bring to you, made you feel like you are just working with a friend or even a family member. And Tricia, the office manager, she follows up with every appointment and always on top of it. I only wish all the office managers in the world could be like that, then there would be much less anger and stress, maybe we could even achieve world peace! I loved my experience with Jacoby Company. I had so many compliment of the shutters from all over the world when I post the pictures. And my husband, who likes to notice little details really like the kitchen corner where the rollup shades, lemon ice paint and light merged together. I think am on the way to “you give a woman a house, she turns it into a home”. Thank you so much, everybody in Jacoby Company! Found you guys on Yelp so I’m back to say how happy I am that I did. You are a fantastic family and your work is perfect. The time you took with all of my projects was so appreciated. Gary, you have the nicest attitude and you are so incredibly sweet. You stay until I am happy with a smile on your face. Cory you are a great ball of energy with fabulous taste. I still can’t believe how fast we picked fabric for my rooms. I’ve never picked fabric so fast with anyone. They look absolutely wonderful. Can’t believe I waited so long to replace my old drapery. Thank you for being talented, kind and reliable. I hope to see you soon for more!!! In love with our new living room shutters. Jacoby Co. were such a joy to work with. The entire staff are extremely professional, quick and efficient. I couldn’t be happier with our new living room look and feel. If you’re looking for window coverings that bring warmth, quality and elegance you definitely want to call Jacoby Co. I don’t normally write a review..But I had such a great experience I had to share. I contacted the Jacoby’s to give me an estimate for window coverings for my entire home. Cory came out and walked the house with me we discussed my needs for each room. She prepared a proposal for me giving different options for each room and what her recommendation was for each. She worked with my budget and helped me to separate my plan into 2 phases. The first phase was installed this weekend and it looks great and installed in less than 2 weeks. I had real wood shutters installed throughout the house. Their Shutter installer really had an eye for detail and did a wonderful job. Next will be the full draperies in the master and side panels in living and dining rooms. Gary , Cory’s husband already took final measurements for the draperies and he does the installation himself.. I will post pictures when completed. Thank you Cory for all your advise. I am looking forward to the next phase. As I mentioned above, I could not have been more pleased. Gary Jacoby explained in detail the reasons he could not fix the original piece and why, after 20 years, the top “slider” mechanism should be replaced. I would definitely would use him again. Have every confidence in the world about this man’s forthrightness and honesty. He is very friendly and pleasant to be around. First, Cory came to our house and showed me many options. I wasn’t exactly sure what would be best in each room. Then I was having difficulty making a decision with regard to some of the windows. She was very patient, made good suggestions, and pointed out the most economical and reasonable options. Gary did the installation of the blinds and they have an installer for the shutters. All was perfect. We have had shutters installed in our previous house on 2 occasions. The first was ok, the second was very mediocre. These are the best – they are so well made and the job was done beautifully. The blinds are perfect. In addition, Cory and Gary are very enjoyable to work with. They make a great team! I trust them, appreciate the work done, and would hire them again in a miinute. 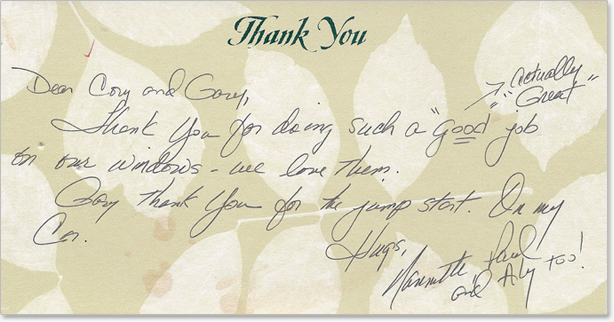 You will not find a more pleasant and rewarding experience then working with Cory ,Gary and Company . I am so happy that I checked with Angie’s List and found Jacoby Co.
Jacoby Company has come through again! The new window treatments in our bathroom add sophistication and understated elegance to the room. Cory understood exactly what we were trying to achieve, and helped us choose the perfect fabric. Gary was efficient and exacting in his installation. Both were kind and warm. It’s the same service we got last time, and it ensures that we will call them next time!! I was very tired of my tangled, dirty, broken, falling apart vertical blinds on all four windows in my condo. Cory came in for the estimate and couldn’t be more sweet or motherly (she can spot a struggling kid with a property that needs major help a mile away). She was quick, clear and helpful. She even gave me the Angie’s coupon that I didn’t even notice on the site (and that I later forgot that she had even applied! Sorry Cory!) A few weeks later after the custom blinds were finally in, Gary came in to do the install. Super fast, super clean, faster than what he even estimated. The new shades look great and work great. Definitely recommend them and will use them in future projects. I had an amazing experience with Cory Jacoby. Her ideas, professionalism, punctuality and responsiveness were fantastic. She came to the estimate with all of her fabric samples and spent quality time with me going over my drapery needs. I would definitely recommend her – especially because she does come with a wealth of ideas, and if you aren’t sure what you’re looking for, she will steer you in the right direction. Unfortunately, we weren’t able to use her company because of an unforeseen financial situation, but when we can, I would definitely have her on my list to call to assist with my drapery needs. I had no preconceived notions of what I wanted to do to replace the ugly, old curtains that had existed as I just repainted the kitchen. Gary came out just before the holidays and suggested blinds. I am absolutely astonished at how good they look! Warm, functional/practical and allows plenty of light. There is only one minor adjustment that I need addressed, but am extremely please! Additionally, Gary happened to notice some fabric swatches I had laid out and gave me some great direction on a sectional upholstery project. I might have Jacoby involved in this; hadn’t realized they do this sort of work, too. Jacoby Company is one of the most professional services I have ever had. It is a family business which takes their work seriously. They were prompt in responding to my requests, came to my home to do the measuring, had the product completed in a timely fashion and installed the product perfectly. The shades look great and the quality is excellent. One of the high lights of their service is their personal touch. They make the client feel part of the family too. I highly recommend this service to anyone looking for window coverings! Thanks again for absolutely everything. We are just so happy, and yes, the living room is incredible. I can’t decide which is my favorite room! They are all so beautiful. I love the guest room. I will work on finding the right duvet and shams, and then I will get in touch about the additional pillows. I really appreciate that! They will be done staining our closet on Saturday and then we will make up our bed too, I am so excited to see how it looks. With phase one (of three) now complete and three rooms transformed, it is fair to say that Sabina and I have been totally inspired. From a google search pointing us to “best luxury window treatments in LA” to the blog entry on Chiang Mai Dragon we have loved working with Cory and Gary. As busy, and sometimes frantic, customers I know we taxed Cory’s patience but she stuck with us and helped to make the process easy. She worked with us when we wanted a hand in design and selection and just handled things when we needed to step away. Gary was a pro on everything technical and, as a fellow couple who work together in a small company, we loved watching the two of them interact and solve problems. Finally, what probably differentiates Cory and Gary most is their commitment to service excellence and that makes them exceedingly rare and truly outstanding. They say buying a home and moving into a new home are two of life’s most stressful experiences. A third must surely be *decorating* that home. My girlfriend and I are deeply in love, and yet there are those times when it comes to choosing where to place the television…well, let’s just say it can be trying! Which is WHY Cory and Gary were such a godsend. From phone call to consultation through installation, they made a potentially stressful and expensive process pleasant AND affordable. They are friendly, charming, extremely professional – and most importantly of all, they do BEAUTIFUL work. Cory’s taste is impeccable, and she helped immensely in guiding us to a selection of window treatments that suited both our personalities and our pocketbooks. Everything was cut, sewn, and built to order, so it took a few weeks for manufacturing, but everything arrived exactly when they promised it would and Gary put them up quickly and with real attention to detail. Cory then returned to ensure that the whole ‘look’ was perfect – as it was. Of all the manifold experiences we’ve now had as new homeowners, I can say without a doubt this was the smoothest, easiest, and best. Thanks, Cory and Gary! We recently moved in to a large, newly built home. The task of decorating was daunting at best and we had only a general sense of what we wanted. I found Jacoby Company after a careful search on Angie’s List. I immediately came to appreciate the owner/designer, Cory’s knowledge, experience and no-nonsense approach to creating the relaxed yet classic style we hoped to achieve. We discovered Cory to be fun and delightful to work with as well as professional and trustworthy. She paid attention to detail and listened to every one of our concerns. Her business partner and husband Gary personally coordinates all installations and is equally as delightful and professional. All jobs will have little glitches along the way and we found Jacoby Company to be very attentive and concerned about all aspects of our job and most especially creating and delivering an outstanding product and service. We whole heartedly recommend Jacoby Company! We recently updated the window treatments throughout our home, and thanks to Jacoby Company (Cory and Gary, a great husband and wife team!) it was a fantastic experience with fabulous results. From the design (with Cory) through the installation (with Gary), every detail went smoothly and professionally. Cory had great fresh design ideas and steered us comfortably towards great options. Every treatment came out perfectly – from rods and sheers, to drapes, blinds and valances. We completed the master bedroom, the guest bedroom, the living and dining rooms and the den. Everything looks spectacular. The treatments complement and highlight the overall design of each room. In the past, installations have always been a problem for us. Nothing ever seemed to go in quite right. But, Gary had every treatment installed perfectly (even with some tricky challenges to overcome!) without any problems at all. We would highly recommend Cory and Gary to anyone that wants beautiful products, great service and perfect results. They are super. Family run biz. Thoughtful. Attentive. Concerned about the outcome. Team of professionals who’ve been working together for ages and care about doing a great job. Overall, a pleasure to work with. Cory came out promptly on the date and time we had scheduled. She then helped me decide on the type of coverings that would be appropriate for my windows. Loved her suggestions and gave her a deposit on the spot. Was given an approximate date for the installation and that too was on the mark. Gary came to install my order, again promptly on the date and time agreed on. He was pleasant, efficient, professional and left everything absolutely clean and tidy. He also took all the old coverings with him for disposal. There are not enough superlatives to describe their high quality work. Not only would I definitely use their services again, but I will recommend them to all my friends. Draperies for my living room, bedroom and a new up and down shade for my kitchen. All lovely and perfectly installed by Team Jacoby. This is a wonderful business with great quality! All of it went well……….. The installation was seamless as well. This is a wonderful company…. Cory, Bree and Gary Jacoby are all the best..
We ordered window coverings for the entire home. Wood blinds in the living room, dining room and master bedroom. Roller shades in the baby’s room and play room, and a very chic sun shade in the kitchen. The blinds took several weeks to order and Cory kindly put up temporary blinds for us which made our new home livable and so much less like living in a fishbowl. Also, Gary was a dear to help us remove some old brackets left behind by the previous owner and he even helped my husband hang a very heavy mirror in the dining room. I appreciated their no-nonsense attitude and very strong work ethic. This team works non-stop and they really take their jobs seriously and your satisfaction seriously. I am so happy we went with them and I will recommend them to all family and friends. Not only is the quality of their product great, the service is excellent and the people are nice. You know you’re not getting the run around with them. They helped me design and choose fabrics and drapes for two rooms and an office. In addition to shutters, and woods. The installer did an outstanding job. We love the quality of service and products. Their professionalism is remarkable. They did an outstanding job! It was fantastic from start to finish. Excellent service, outstanding communication, very professional, with a strong attention to detail. We couldn’t be happier! I ordered shutters for 3 windows in my master bedroom and bathroom. The estimate was quick and informative. The price was good with the Angie’s discount. The owner and her daughter Bri were very nice and gave me lots of options. They sent out Luis to do an additional measure which was great. He is a great guy and really knows his craft. The install went perfect!, Luis was on time, and did a fabulous job. He is a perfectionist and attends to every detail in his installation. The shutters fit my windows perfectly and add a beautiful touch to my master bedroom, I couldn’t ask for more. I contacted Jacoby based on the great reviews on Angie’s List. Cory set up an appointment with me right away. Cory and her daughter came out to our new house and knew exactly what we were looking for. My style is modern and clean so I was nervous about putting in a ton of window coverings but Cory understood exactly what I wanted and I ended up with beautiful shutters that match the white of our house. I love how they look! I also wanted drapes for the master bedroom to block sunlight and they turned out gorgeous. Gary, was quick and installed them perfectly. I love that they are family owned and worked within my budget. Definitely recommend! Thank you!! Installed shutters in living room and 2 bedrooms, shades in kitchen and blackout shades in one bedroom and drapes in dining room..Our overall experience went very well. We met with a few other companies and spent a lot of time researching exactly what we wanted before moving forward with hiring Jacoby and then making our final design decisions. The shutters are a big improvement over the blinds that were already in the house when we bought it last year and they were able to match the paint of the shutters to the trim color in the room. We also think the drapes for the french doors in our dining room add a lot of style to this room. One important thing that I think is worth mentioning is that Cory recommended we do just panels (not full drapes) and this saved us a lot of money without any compromise in the look. Installed wood shutters in this 4 bedrooms and the formal living and dining rooms. It all went very smoothly. Cory came out and took measurements and gave us some design recommendations. someone came out to remeasure the windows and then installer came. They worked hard to work within my limited time frame and juggle to fit my availability and we were very appreciative. The shutters look lovely in our new home and we are very pleased. before deciding to go with Jacoby we went to several other companies and they were significantly more expensive. Cory has helped me with all the window treatments in my house. She is amazing and has great taste! She not only helped me with my window treatments, she gave me great interior design ideas for other parts of my house. Cory and her husband are a true ‘mom and pop’ company. Cory designs, and her husband installs. It just doesn’t get any better!!! Perfection! Jacoby and Co. were professional, punctual and very helpful. I highly recommend. I would recommend them to anyone. Cory came and measured, showed me samples and made suggestions. She listened to what I wanted, and didn’t try to upsell. She has a great sense of style, and helped me select a product that fit with the style of the house. When the blinds were ready her husband installed. They were punctual, professional, excellent quality product. Highly recommended. To say that Cory and Gary are easy to work with is an understatement. We showed them the windows that needed treatments, they listened to our needs and ideas, then showed us how professional, caring and exceptional they are. Proof that family-owned and operated still means something. And to us that means quality. Our master bedroom is simply beautiful and we will highly recommend Jacoby Company to anyone looking for new window treatments. 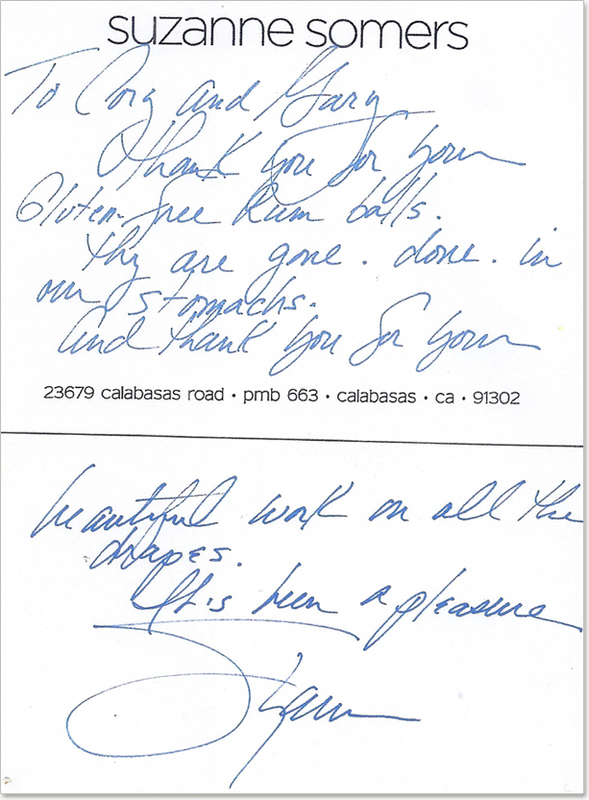 I am always thrilled with the professional manner and detailed eye which Jacoby Company bring to all my Westside clients. They are a great family team with a wonderful attitude that never fails to uphold the highest responsibility of care to both me and my clients. Wonderful family owned company! They did a terrific job on my Sunbrella curtains! Now my patio looks beautiful, and we have privacy, too! A couple of years ago, Cory and Gary helped choose and installed all of the window treatments for my new 5 bedroom house, and I recently asked them back to help me with some outdoor drapes for a balcony space. I’m happy to recommend them. They’re thoughtful, creative and efficient. And just as important to me – they’re also fun to work with. We are so happy with our new window treatments! The draperies and shutters gave our home a beautiful new look. Cory, Gary and Bree were a pleasure to work with and very prompt and responsive I appreciated their helpful suggestions and the results are beautiful. I highly recommend Jacoby Company! The Window shades are exactly what I wanted in color and performance. the outdoor furniture is now refreshed with a new pattern and looks beautiful, also saved me money by utilizing the existing padding….perfect job!!! I used Jacoby Company for shades and blinds. They were great and fantastic. My experience with them was fantastic, it was perfect. They were very punctual and very customer friendly. They redid one set of blinds as we wanted something different. They were very accommodating. Jacoby Company reupholstered a wing back chair, 6 dining room chairs, a desk chair, a table cloth and a decorator pillow. The job was completed with all the expertise and attention to detail that I have come to expect from Jacoby. Thanks Angie’s List for connecting me with this superlative business. It was fantastic – Bree and Cory helped me choose drapes and a trainee and Gary installed the drapes in my living room. They look fantastic and Gary explained what they did in case I had any issues. I am confident I would use them again as I decorate more of my townhouse. From start to finish, everything was great. Bree made the perfect recommendation for the room. This company is responsive, professional and creative. The shutters were finished right on time, and the installer was terrific. He had to make an unexpected on-site adjustment to fit one of our “cockeyed” windows, and you’d never know. The window treatments look beautiful. We are very pleased. We have used this company in the past, and plan to call them for future projects. We recently purchased an original, Hollywoodland house, Spanish Mediterranean with a taste of Art Deco, built in 1926. We wanted to enhance the architectural beauty and preserve the integrity of the house. The final touch needed was window treatments. We interviewed four Window Treatment providers. We spent a great deal of time and effort with companies that were unable to deliver as advertised. Then, thankfully, Cory and Bree from THE JACOBY COMPANY arrived at our house. They were prepared, helpful, and most of all, willing to listen to us and understand our vision for our house. Insightful and knowledgeable, they guided us through the window treatment process. Gary and his associate expertly installed the window treatments, carefully applying the finishing touches. dining rooms are stunning: warm and welcoming, stylish and sophisticated, elegant and extraordinary. THE JACOBY COMPANY helped us achieve our ultimate goal: turning our house into our home. We wholeheartedly and HIGHLY RECOMMEND THE JACOBY COMPANY. Jacoby Company was completely professional from start to finish. Cory Jacoby came on time (rare) to measure and go over my project to install hallway closet shutter doors. She was extremely affable and so was her daughter, Bree. The installer actually showed up a few minutes early (rare again). He was quick, courteous, and immaculate.Cory, the shutters turned out perfect and the quality is exceptional. They were prompt in coming out for an appraisal. They are professional, courteous, and the installation was right on time. The quality is first-rate. Will definitely use them again. Replaced vertical blinds in bedroom. Prompt, polite ad professional. Assisted in choosing window treatments, order and install. Went well. Very happy with the company, very professional, friendly, efficient and great customer service. Needed window treatments for living room, dining area, kitchen and office. They were prompt coming for the appraisal, and Cory and Bree had great ideas for difficult windows. Very happy with all window treatment, and really enjoyed working with the Jacoby family. The quality was excellent. Would definitely use them again. The Jacoby Company were consummate professionals from beginning to end. They came to measure up and quote, asked all the right questions – questions that we would never have thought of – and came up with all the right solutions. They delivered exactly what they said they would – really beautifully finished drapes on all our windows, on time and perfectly executed. A high class team of professionals from beginning to end. They were not our cheapest quote, but I’m glad we went with them. Everyone from Jacoby Company was friendly, on time and professional. Cory Jacoby did the initial measurements and helped me pick the best color and material for my blinds. When Gary Jacoby came to do the installation, he noticed that there was a plate rail which could potentially cause the blinds to catch. (My old blinds had done this and I thought that was just how things had to be.) I would have accepted the blinds as they were, but Gary said he did not want to install anything that wasn’t perfect. He sent the blinds out for a slight trim and when he came back and did the final installation, the blinds slid smoothly past the rail. In addition the blinds on both windows matched each other perfectly. While he was here, Gary helped adjust a shade in my bedroom free of charge and even provided a new cord equalizer. I really appreciate Gary’s sense of professionalism and pride in his work and Cory’s sense of design. I selected the Jacoby Company because of their high rating on Angie’s list and because I wanted to go with a family owned business instead of a chain. I know I made the right choice, and I would certainly use them again the future for any new window treatments. Cory and Gary Jacoby were a pleasure to work with. They were very helpful in selecting replacement window treatments for our kitchen and bathroom. Their prices were fair and they were prompt and courteous during all of our appointments. I would definitely use them again and highly recommend their services to others. The team at Jacoby Company is fantastic to work with. 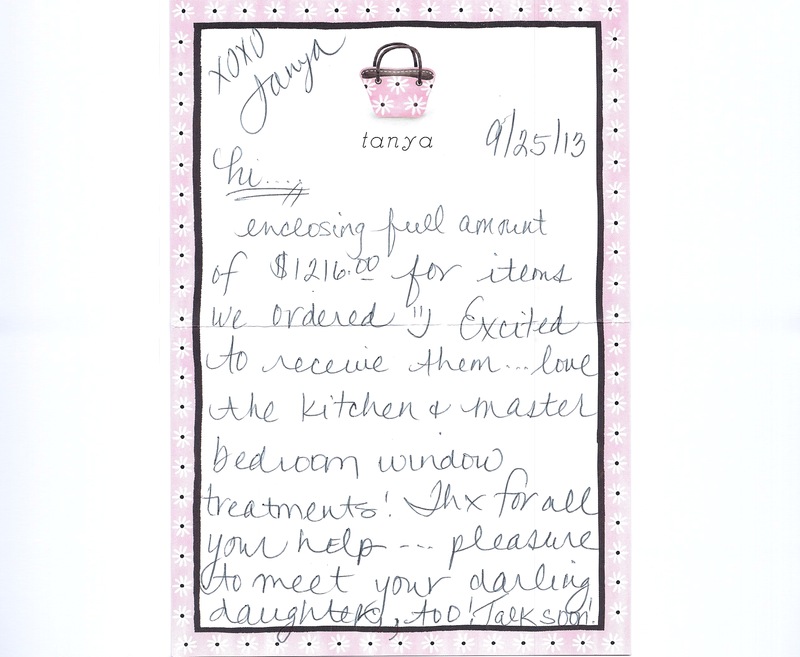 Cory scheduled an in-house consultation a day after reaching out to her via Angie’s List. She discussed all of my options, crushed me a bit on the price of what I wanted to do, and then quickly found a cheaper alternative that would still look fantastic. Her husband, Gary, was actually in my building that day doing an install for one of my neighbors, so he came to my unit, took final measurements and we were off and running. Everything was easy, from finding the perfect shades for my unit, to the very fast install process. I was quoted about a month turn-around for the blinds to be manufactured, but in the end it only took about two weeks, and Gary had my blinds up and installed quickly. The roller shades look great, and more importantly they cut a lot of the harsh light when down, but don’t completely obstruct my view. I’m so happy Cory talked me into going with a more translucent material so we can still enjoy our view while the sun is punishing us in the afternoon. I also thought it was great that Cory called the night of our installation just to make sure everything was as we’d hoped, and assured me that if we had any issues with our new blinds to give them a call and they’d get them fixed. Simply put, I can’t recommend Jacoby Company enough. I’m sure you’ll be pleased with the results, and I also know that if I have any need for new window treatments (and I may change it up in the future as my budget allows) Jacoby Company will be doing the work. It’s wonderful to find a business that really cares about their customers. Installed window shutters and shades. They did a great service. Mainly it was their thorough customer service and feedback. They were transparent about service fees and times for installation. Consulted about a variety of window treatments. It went well. Cory showed up exactly on time. She was friendly and knowledgeable. She made creative suggestions. FANTASTIC! This is how business should be conducted. Responsiveness was outstanding. Initial consult was professional and direct — we accepted all recommendations by the experts at Jacoby Company. Cory Jacoby is personable, professional, efficient … and fun! Love that they source almost everything locally, including installation labor. The installer was awesome … arrived on time, friendly, and just got to business … left our home spotless after the installation was completed. Quality of workmanship impeccable! We will complete some other rooms in the house in the coming months, and Jacoby Company will get our business. We recommend them very highly! All around, just a fantastic experience!! Cory and Gary were very punctual and gave me great suggestions and advice. When it was time to do the install Gary was very neat, organized and did the install quickly and accurately. I don’t know what took me so long!! My new woven wood shades are beautiful… What a difference! They’re coming back this week to take more measurements downstairs!! Perfect!! No complaints whatsoever!! Very friendly and down to earth!! They installed plantation shutters in four rooms and a Venetian blind in one room. Mrs. Jacoby came on schedule to assess the job and discuss it with me. She was very clear about materials and prices. The installer came as scheduled to confirm measurements taken by Ms. Jacoby at our initial meeting. The shutters and blind arrived on schedule and the installation went smoothly and perfectly. I was especially impressed with the care the installer took to make the shutters and surrounding woodwork perfect. I am extremely pleased with the entire process and would definitely recommend Jacoby Company to anyone. I will definitely use them again when I do the rest of my house. It is a pleasure to write a review for Jacoby and Company. Our experiences with the company have all been excellent. We have worked with Cory Jacoby on several occasions and we are continually impressed by her imaginative approach to problem solving, her creativity, and her efficiency. She did a fantastic job in designing and making window coverings and shutters, bedding and headboards, for four bedrooms. Each has its own individual look and I am delighted with the results. She also did window coverings and shutters for rest of the house and again, the results couldn’t be better. On several occasions, Bree also helped us with her unique creative input. Gary and his crew did all the installations and their work was impeccable. Tricia, the office manager, was always on top of everything. Working with everyone at Jacoby and Company is an absolute pleasure. We highly recommend them. I purchased a big deal for $125 for a 1-hour window treatment consultation. They were excellent. They did the installation and I ordered new window shades from them. Overall, they did a great job! I was referred to Jacoby Company the day I moved into my house. I called Cory desperate for help. The house is new construction so every window needed attention. She came over that afternoon and spent hours with me. Her design sense was excellent, advice honest- what will work and what will not and we reviewed timelines, prices, etc. No stone left unturned! She was so helpful and sweet. I loved spending time with her! The entire process was very professional. I ended up ordering custom wood shutters, woven blinds and resizing old curtains. Gary Jacoby installed the blinds. He is also a pleasure! The blinds are beautiful and functional. As for the wooden shutters…I am so impressed. The quality of construction is amazing. They are perfect and truly add value to our home. I’ve received many compliments on the shutters. Wonderful family business! Definitely work with them! We had a very joyful experience with Jacob company. They did the shutters for the entire house and they turned out so beautiful! We received a lot of compliments from our friends. Working with Cory and the Jacob team is a true pleasure. They’re professional, understanding and very efficient. Both of the shutters and the services are top quality. We’re very happy for choosing a family-operated business, and definitely will recommend it to our friends. These guys are fantastic. Family owned and operated, they responded very quickly to my initial phone call, came out and measured everything without any hidden costs or fees. They gave me their best suggestions based on my budget and I just had them install some blinds in custom drapes that look fantastic. If I ever need blinds or drapes again, I will certainly be a returning customer. I am an Interior Designer in the Los Angeles area, and have had the pleasure of working with Cory and Gary for the past 6 years. I first used them in my own home, after having a negative experience with another company; after reading their rave reviews online, I decided to give them a try. Since then, they are the only Window Treatment company I will work with. They deal with higher end installations: and window treatments are definitely not something you want to skimp on, believe me. They have an excellent eye for design and also offer practical solutions that fit my clients’ varied lifestyles. They can work within tight deadlines. They can expertly accommodate different architectural styles; modern, traditional, Cape Cod, Mid Century Modern. They stand by their work, and all my clients and referrals rave about them. And, perhaps most importantly, they are as warm and friendly and adorable and genuine as they are talented! I highly recommend Jacoby Co for any of your drapery interiors! Such professionals. I loved working with Cory, she really took the time in helping design our home theater. The fabrics are such great quality! And the labor was done so perfect! I’m so completely satisfied I can’t wait to finish up my whole house! This company is 5 star, and if your a person of good taste you’d go with them! Thanks guys!